SEASONAL VARIATIONS OF TRACE METALS LEVELS IN WATER AND THE LIMPET PATELLA CAERULEA OF ALEXANDRIA COAST, EGYPT. 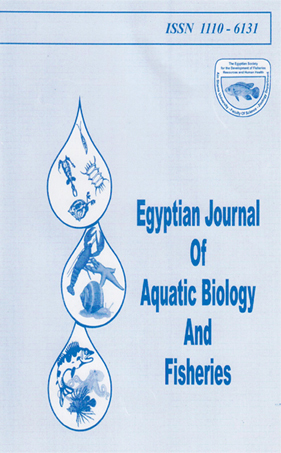 1Zoology Department, Faculty of Science, Zagazig University. (Benha branch). Egypt. The whole soft tissues of the Patella caendea from Abu-Qir, EI-Anfushi and El-Mex stations in Alexandria were seasonally analyzed during the period from Autumn 2001 to Summer 2002, to determine the levels of Cd, Co, Cu, Fe, Pb and Zn to reveal their patterns of accumulation throughout different seasons. The correlation between seasonal variations and the nature of investigated stations in metal concentrations was significant. Summer recorded the highest concentrations of Cu and Zn and the lowest one for Pb. Winter recorded the lowest concentrations of Fe, Zn and Cd. while Co recorded its highest concentration in the same season. Fe recorded its highest concentration in Spring, while Autumn recorded the highest concentrations for both Cd and Pb. On the other hand, Cd, Pb and Zn concentrations in water and tissues revealed highly significant differences for stations and seasons. Co, Cu and Fe concentrations in water revealed marked differences for both seasons and stations. There were no marked differences between seasons for Co, Cu and Fe that accumulated in the soft parts of Patella tissues, while stations were significant. The highest values of Cd and Pb was reported for samples collected from El- Mex in Autumn, while the highest ratio of Cu was revealed for the same station but in Summer. The highest concentration of Co appeared in Autumn from El-Anfushi, while its lowest concentration during the same season was in Abu-Qir. Fe recorded its highest concentration in Abu-Qir station in Spring. While El- Anfushi presented the highest concentration of Zn in Summer.